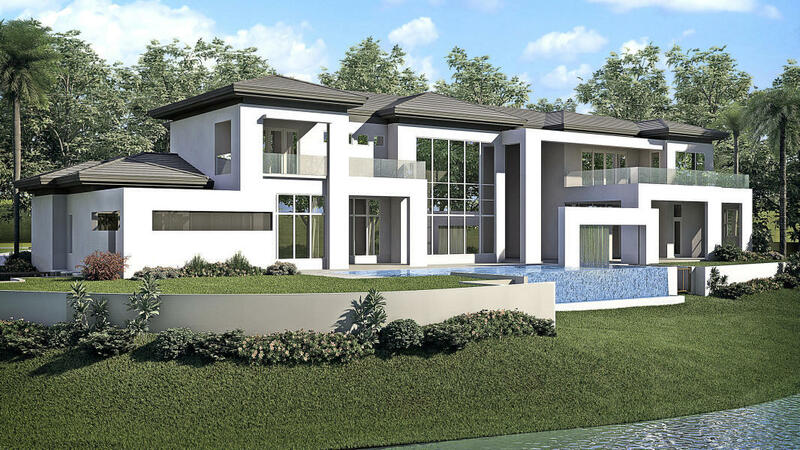 New Streamline Modern Intracoastal estate sited on 149 ± feet of waterfrontage in Boca Raton's ''Estate Section'' by prestigious JH Norman Construction and Brenner Architectural Group AIA. Set behind gates, a motor court entrance greets guests to this architectural modern masterpiece with sophistication and style. Imposing foyer with sculptural signature staircase and wide gallery hallways leads to all major rooms overlooking the waterway. 5-bay garage for the connoisseur. Resort-style pool/patio. A short stroll to the posh Boca Raton Resort & Club.